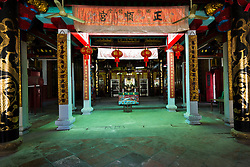 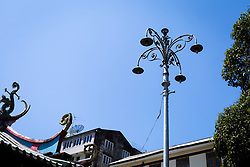 In 1877, the Zeng, and Qiu, clans who came from Fujian province in China founded this clan temple in Yangon.%0A%0AThis Hokien clan temple is located in the Cantonese area of Yangon Chinatown.%0A%0AThe patron deities of the temple are not usually seen in other Chinese temples and are likely to be ancestor deities since the temple was founded so that clan members can pay respects to their ancestors. 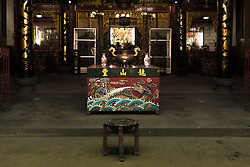 %0A%0AAnother very important social value that is prominently manifested in the temple is the traditional Chinese emphasis on education and scholarship. 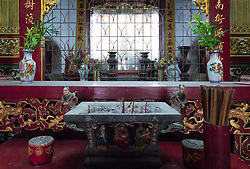 In Ancient China, parents hoped their children would emerged as a top scholar in the Chinese Imperial Examinations. 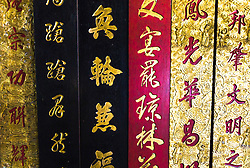 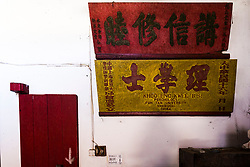 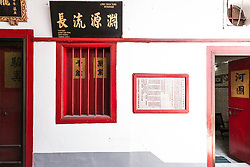 Although the Imperial examination was abolished in 1905, the emphasis on education remained and is reflected in the various scroll boards displayed all over the temple.%0A%0AThese boards are dedicated to the temple whenever one of their member’s children graduated from the university and provide important information about the community.%0A%0AThe boards are dated from 1910 to 1960 although there might have been earlier ones that are not on display. 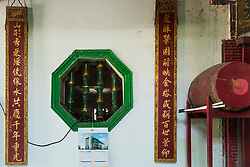 The graduates studied in China, USA and UK obtaining degrees, master’s degrees and even PhDs in business, engineering, dentistry, law, psychology, marine engineering, and economics.%0A%0AThe universities mentioned included Fu Tan University in Shanghai, Cambridge in the UK, Lincoln’s Inn in the UK and Greater China University in Shanghai.%0A%0AAlthough the community of overseas Chinese in Burma has reduced over the years, the temple continues to function and to serve its members.